It is the LED or LCD based display for showing the decimal numerals or letters in electronic devices such a meters and digital clocks. It consists of seven LEDs (LCD) which turn or off individually or combine to produce Arabic numerals. 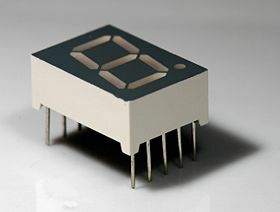 In the 7 segment display, the display segments are arranged obliquely for increasing the readability.